Yacon offers a new and exciting way to help manage your weight. Taking it before meals will help to keep blood sugar levels steady, feed the good bacteria in the colon and supply high quality soluble fiber for healthy digestion. Yacon can be used as a healthy natural sweetener which won’t translate to extra pounds on the scales. ✔73% of the 60 participants lost weight. ✔14 of the women lost 5 pounds or more. ✔The average weight loss was 2.9 pounds. ✔They lost an average of 1.9 inches around their waists. ✔The total pounds that were lost between all of the women was 153 pounds. ✔68% of the participants would recommend Yacon to help lose weight. 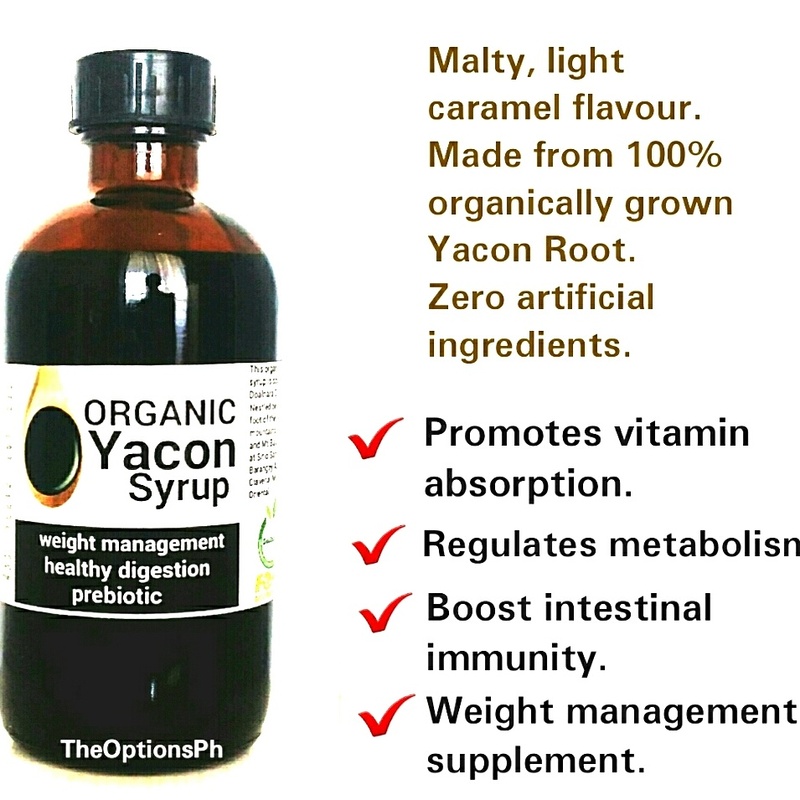 Where to buy Organic Yacon Syrup in the Philippines? Check here. Where to buy Organic Yacon Syrup in the U.S.? Check here. Next Post Reduce Holiday Stress: Know How to Set Boundaries and Keep your Family from Driving you Crazy!